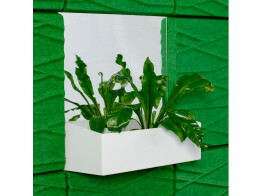 Soundwave Planter is a flower box designed to complement the Soundwave® acoustic system. 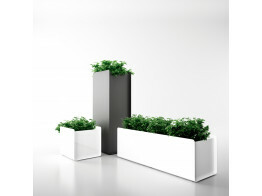 Crepe Plant Pot as low cube, low rectangular and tall square plant pot versions. 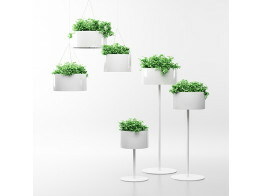 Green Light Pot Plants in a combination of aluminums and galvanized steels. Indoor/outdoor use. 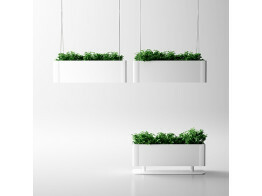 Green Cloud Plant Pots is a series of freestanding or suspended unit suitable for indoor and outdoor use.